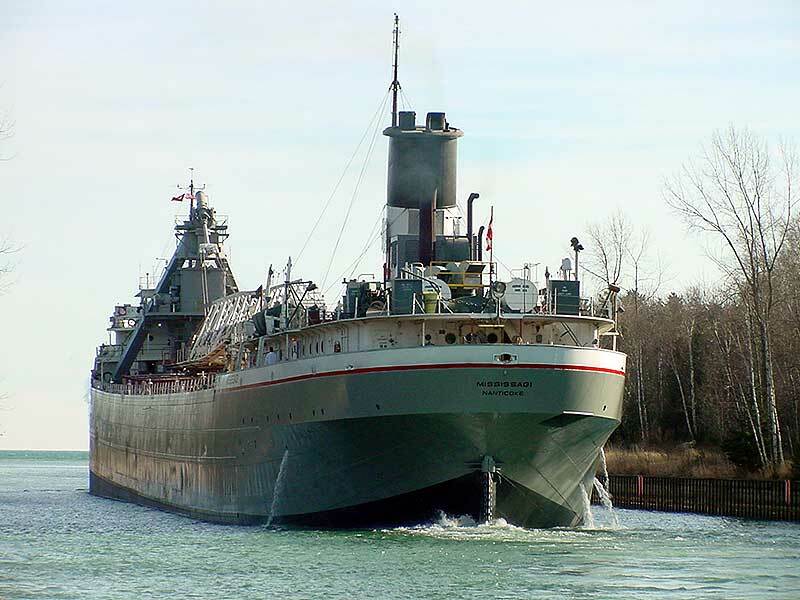 This L6-S-B1 designated "Maritime Class" straight-deck bulk carrier was built in 1943 for the United States Maritime Commission as the Hill Annex by the Great Lakes Engineering Works, River Rouge, MI at a cost of approximately $2.2 million. The Hill Annex was the eighth of sixteen "Maritimers" built for the U.S. Maritime Commission during World War II. 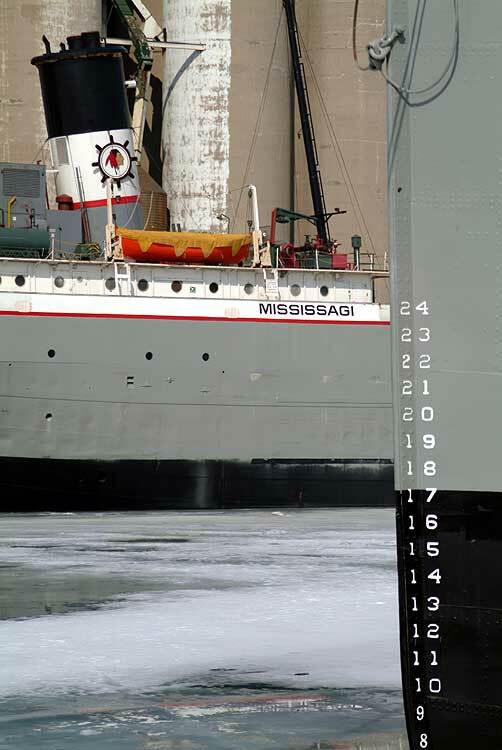 The L6-S-B1 designation meant that it was a Great Lakes vessel (L), 600 - 699 feet long (6), steam powered (S), particular design type (B), and sub-design (1). The Hill Annex was initially powered by a ship-yard built 2,500 horsepower triple expansion steam engine. After being rechristened George A. Sloan, the vessel was delivered to the U.S. Steel Corp. owned Pittsburgh Steamship Company on July 22, 1943. 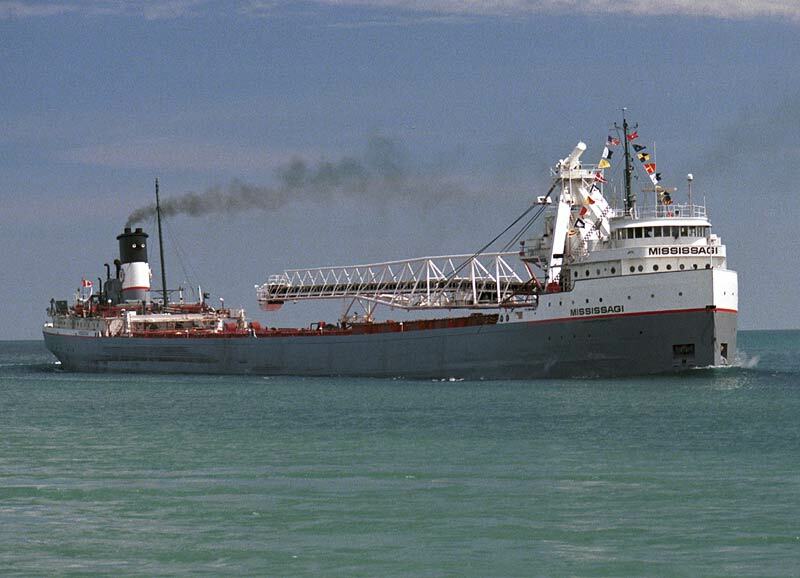 The vessel was named in honor of Mr. George Arthur Sloan who was a director and member of the finance committee of U.S. Steel Corp. at the time. 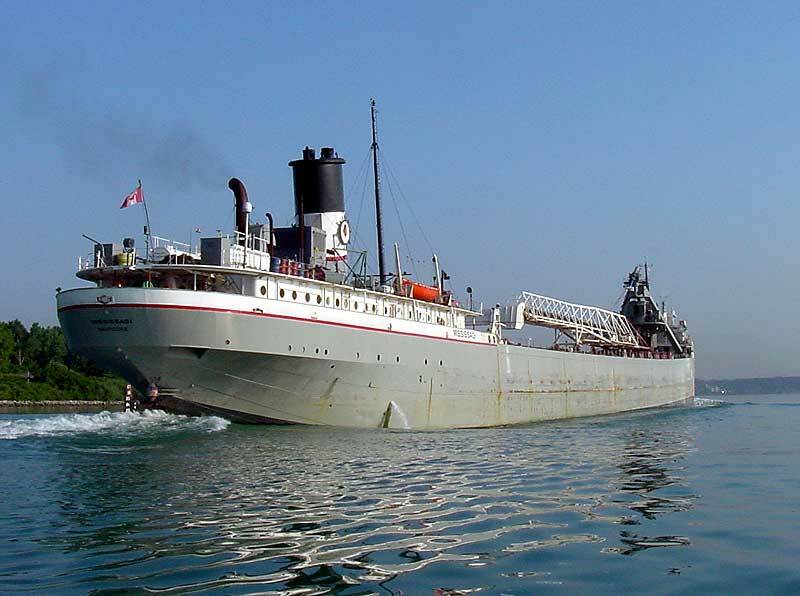 The George A. Sloan was one of three "Maritimers" acquired by the Pittsburgh Steamship Co. in 1943 for a modest cost plus the exchange of obsolete vessels of equivalent tonnage. The other two vessels acquired were the Sewell Avery (sold for use as a sunken dock 1987) and the Robert C. Stanley (scrapped 1989). The six vessels traded in were all nearly 50 years old. These vessels were the Zenith City, Robert Fulton, Queen City, Rensselaer, Pentecost Mitchell, and the Herman C. Strom. 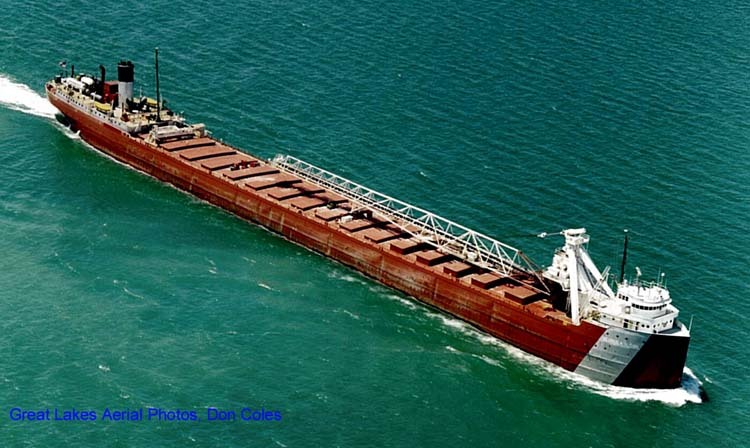 The primary function of these new vessels was to carry iron ore from Lake Superior ports to the steel mills on the lower lakes on behalf of the U.S. Steel Corp. Iron ore continued to be her primary cargo through until 1966, with spot loads of coal and slag. Even though the Coast Guard had signed off on the construction plans of the sixteen "Maritimer Class" vessels, the George A. Sloan's deck cracked on her first trip in moderate seas on Lake Huron in September of 1943. As a result, her hull had to be strengthened using 3 feet wide x 2 inch thick steel strapping. After a similar problem that nearly caused the foundering of her fleet mate Robert C. Stanley in November of the same year again in moderate seas, the Coast Guard ordered all the "Maritimers" to have their hulls strengthened in a similar fashion. 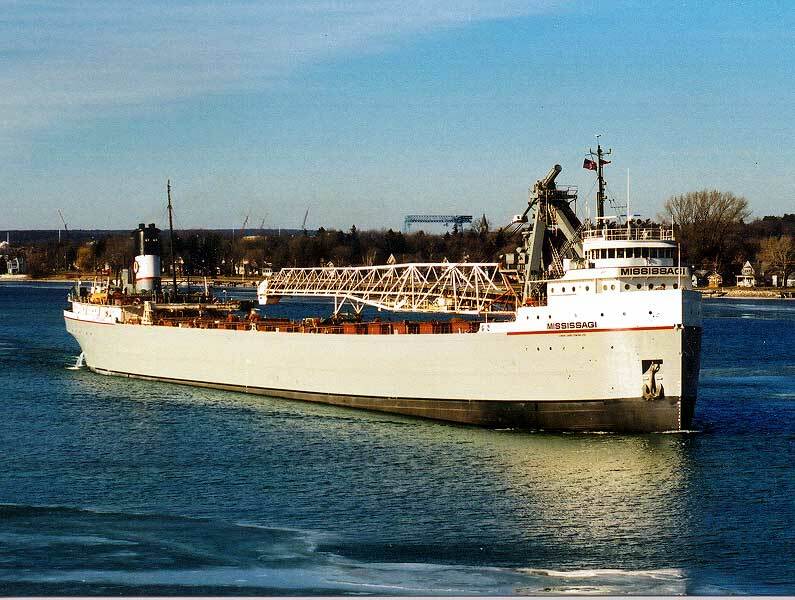 Bradley Transportation Co., owned by the Michigan Limestone Division of U.S. Steel Corp., acquired the George A. Sloan in 1966 from the Pittsburgh fleet following the loss of one of its vessels, the Cedarville, in 1965. Bradley had the Sloan converted to a self-unloader by Fraser Shipyards, Superior, WI in 1965/66. July 1, 1967 saw the return of the George A. Sloan to the Pittsburgh fleet as a result of U.S. Steel Corporation's merging of the Bradley fleet into the Pittsburgh fleet. The Sloan was repowered in 1984/85 with a pre-production model 4,500 b.h.p. 12-cylinder Caterpillar 3612TA marine diesel engine burning intermediate grade 320 fuel. Her oil-fired boilers were retained to provide steam for the steering engine, winches, and ballast pumps. At this time, she also received a variable pitch propeller and a new rudder (new hydraulic steering gear installed on the Sloan in 1996 now allows the vessel's rudder to turn up to 70 degrees). She is equipped with a bow thruster. Her 16 hatches feed into 4 compartments where she is capable of carrying 15,800 tons at her maximum mid-summer draft of 25 feet 5.5 inches. The self-unloading system is gravity fed through gates to two 4-foot wide conveyor belts feeding a forward mounted loop-belt elevator to a 262-foot bow mounted discharge boom that can be swung 100 degrees to port or starboard. 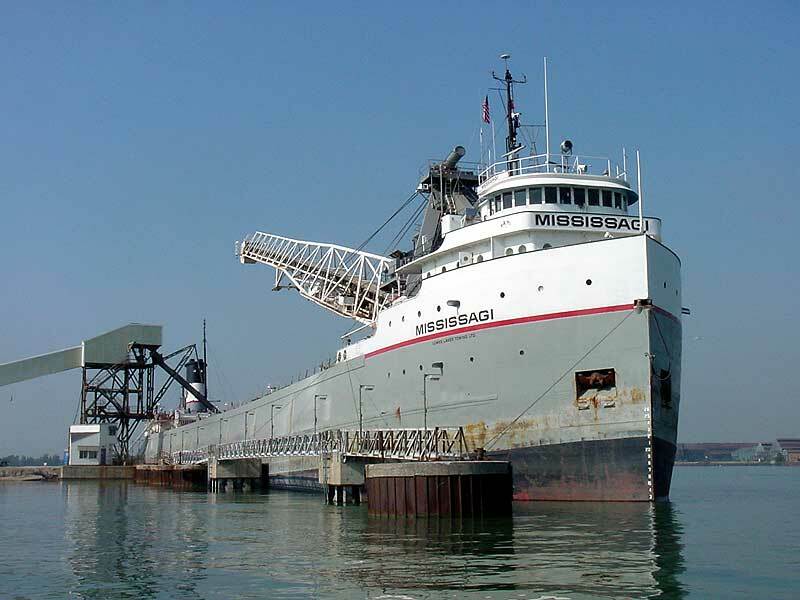 The George A. Sloan served special niche customers on behalf of the USS Great Lakes Fleet handling cargoes such as coal, limestone, salt, stone, sand, and other aggregates into and out of large and small ports on the Great Lakes and the rivers feeding into them. She also carried the odd spot load of iron ore as needed. 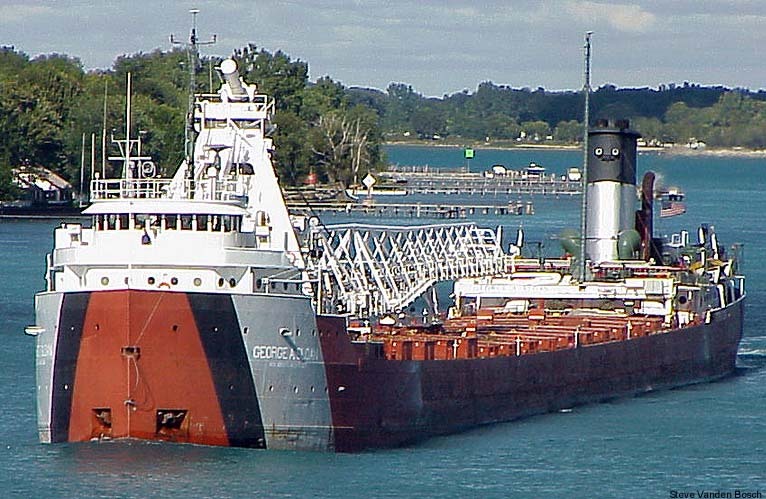 At the end of the 2000 shipping season, the George A. Sloan laid up in Sarnia, ON pending a sale to the Canadian shipping company Lower Lakes Towing Ltd., Port Dover, ON. The sale was finalized in late March, 2001. Immediately after the sale, dock crews began work on the Sloan preparing her to sail as a Canadian registered vessel. This work involved meeting higher standards for fire protection. The living accommodations were gutted and floor tile removed. New tile was installed, and new insulation and fire doors were added. The vessel was reflagged Canadian, the hull was painted the Lower Lakes color scheme, with the vessel being christened Mississagi on Saturday, April 21, 2001. Also christened that day, but remaining US-flagged, were her former fleet mates Calumet, a) Myron C. Taylor; and Maumee, a) William G. Clyde, b) Calcite II; now both owned by Lower Lakes Towing's U.S. affiliate Grand River Navigation and sailing under the Lower Lakes Transportation Co., Cleveland, OH banner. 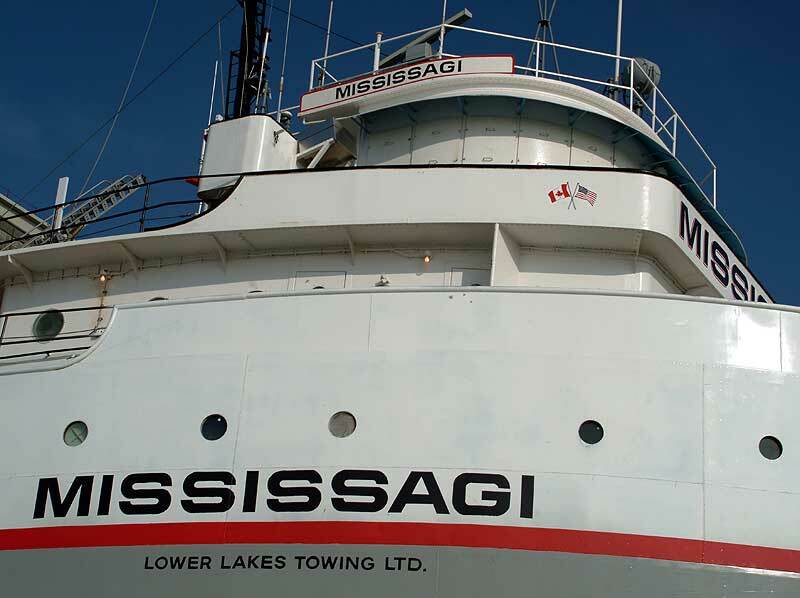 The Mississagi is named after the Mississagi Straight in northern Lake Huron. 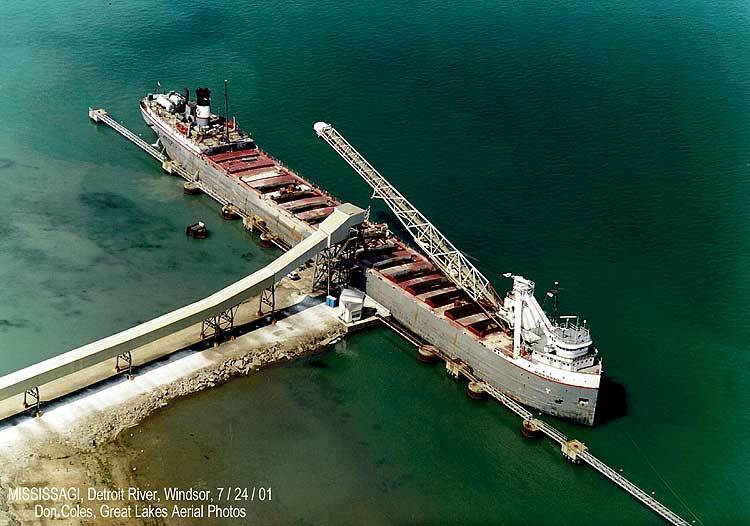 Lafarge Cement operates a stone quarry at Meldrum Bay where ships load. 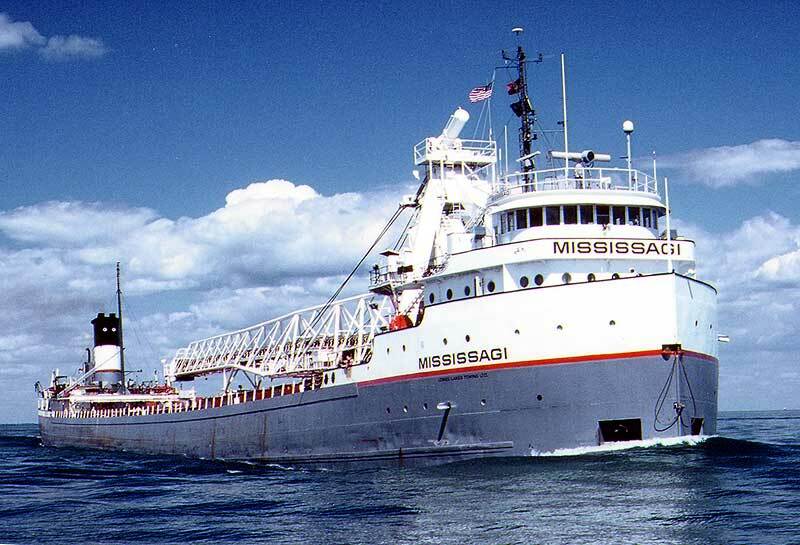 The Mississagi departed on her maiden voyage May 3, 2001 light to Bruce Mines where she loaded stone for Toledo, OH, arriving there early May 6, 2001. 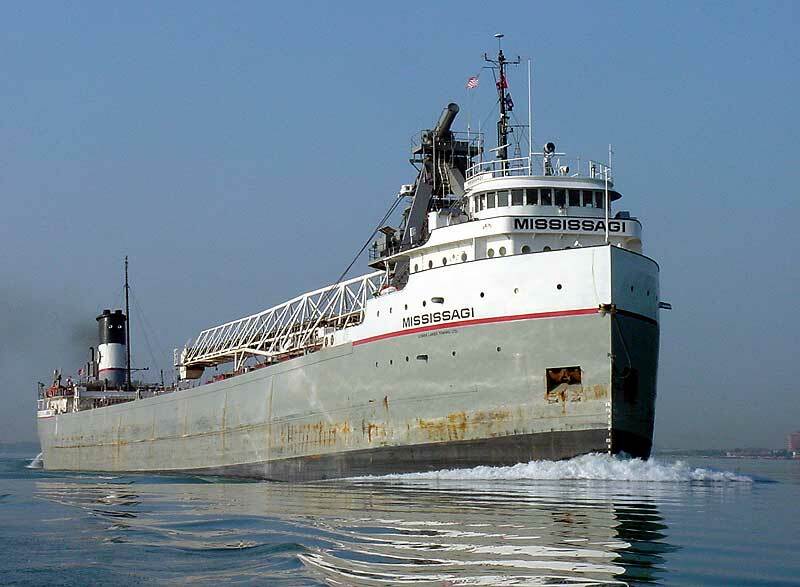 As with her Canadian fleet mates Cuyahoga and Saginaw, the Mississsagi's cargoes are focused in the stone, aggregates, sand, coal, salt and grain trades primarily on the lower lakes. This history is dedicated firstly to the crews that have served on the George A. Sloan during her 57-year tenure with the various U.S. Steel fleets. 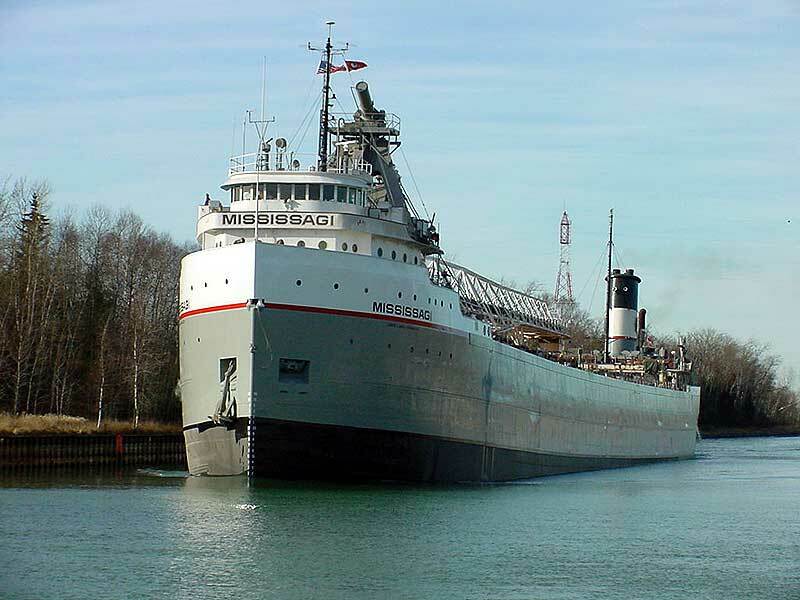 Secondly, this article is dedicated to the people at Lower Lakes Towing who have seen the advantages and benefits of keeping this veteran productively trading on the lakes thus preserving another priceless piece of Great Lakes marine history. Looking down on the engine. N. Schultheiss. As the George A. Sloan. Steve Vanden Bosch.